There's a famous passage of scripture that ends with the line, "And now these three remain: faith, hope, and love. But the greatest of these is love." And that's totally true -- that love is the greatest of all characteristics and actions. No question about it. But I wonder if, for some people, the other two characteristics or concepts might not be more significant and vital at certain times in people's lives. I wonder if, for some, faith or hope might be the sort of idea they need to cling to as a sustaining force in certain periods of life...even more than love. For me, hope carries a terribly potent energy. I can so easily fall into the trap of pessimism and cynicism and begin to wallow in my own despair. Even if love is present, without a glimmer of hope from time to time, depression nips at my heels. But hope rejuvenates. Hope fills me up when I am empty. Hope has an electric dynamism that allows me to push on despite all obstacles. Hope is a powerful drug. Hope has a way of reminding us, in the midst of all the challenges and uncertainties life brings, that it might. just. be. okay. That there is an end in sight. That there is light at the end of this tunnel. That this will all work out in time. And for people of faith, like myself, hope is a reminder that God will be a comforting presence through all of these trials and doubts and fears. For me personally, I have a job that can sway my emotions by the minute. I can be riding high after a wonderful church service and be brought to rock-bottom by one fleeting, critical comment. I can be on cloud nine after a great week of ministry, only to be wondering when the pink slip will arrive in my office after an average sermon and a Sunday of low attendance. It's a sick cycle -- and probably reveals something of my insecurities and flaws -- but it's real and it's ugly...and the only antidote to this poisonous pathology has been hope. A small victory. A great conversation. A beautiful and meaningful Sunday morning. A word of encouragement. 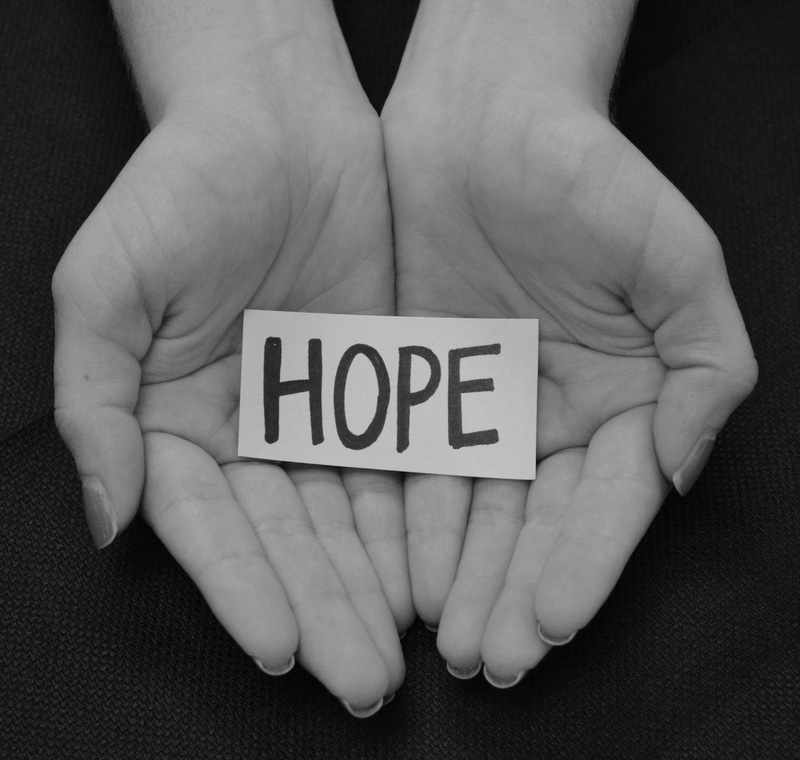 Hope is a sustaining force. Hope has a way of subtly grabbing us by the shirt collar and reminding us of our worth and our true identity in God. Hope, for me, comes and goes with random unpredictability. But when it shows up at my doorstep, I welcome it in with open arms. Because we all need a little hope from time to time. To buoy us in our moments of drowning. To comfort us in our moments of despair. To remind us that it's all going to be okay. Keep hanging on. Keep trusting God. Keep hoping.